As Let’s Encrypt doesn’t support wildcard certificates (yet) you may have to share your certificate between hosts. One such scenario could be if you run a Nginx Reverse Proxy and need a certificate for a domain on both the proxy host and the backend. One example is when running ZNC. In a normal situation you would buy a wildcard certificate and place the cert on both hosts. But with a Reverse Proxy in front, and only one public IP that would be impossible when using Let’s Encrypt as it would only allow you to generate certs on the proxy host. To solve this you can create a share between the Nginx Reverse Proxy and the backend host over NFS, then update the cert on the backend (if needed) via a cronjob. In our case we needed a .pem file of all the Let’s Encrypt .pem files togheter to be able to host ZNC over SSL. In this guide “Nginx” is the reverse proxy server, and ZNC is the backend where we placed the ZNC server. Here is how it’s done. Install NFS Server on the Proxy frontend, Nginx. # See the manual pages hosts_access(5) and hosts_options(5). # daemon name. See rpcbind(8) and rpc.mountd(8) for further information. # versions of Debian this has been the default. If the dir is listed and you can see all the certs that exists on the Nginx server then everything is OK.
Now we have to be sure that the certs are updated correctly so that they don’t become invalid in case they get updated. To do this we add a simple cronjob that checks if the parent file is older than the one in the mounted Let’s Encrypt dir. This isn’t needed on all setups, but ZNC especially demands a certain .pem file which contains all the Let’s Encrypt .pem files. 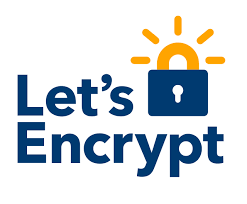 If you later want to add more backends to access the Let’s Encrypt certs just add them to the /etc/hosts.allow file like we did in this guide. Feel free to comment, and let us know if you find any errors in this guide.